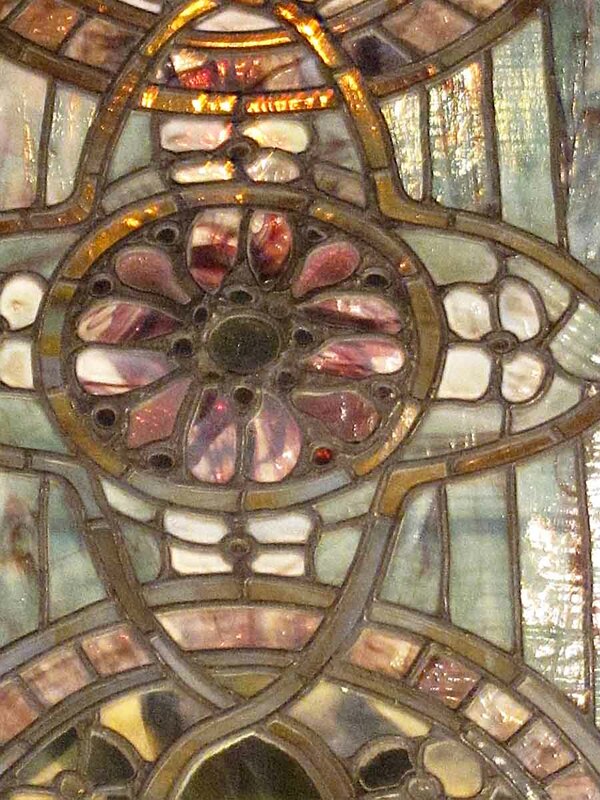 Created by Tiffany Studios in 1892 in the USA. 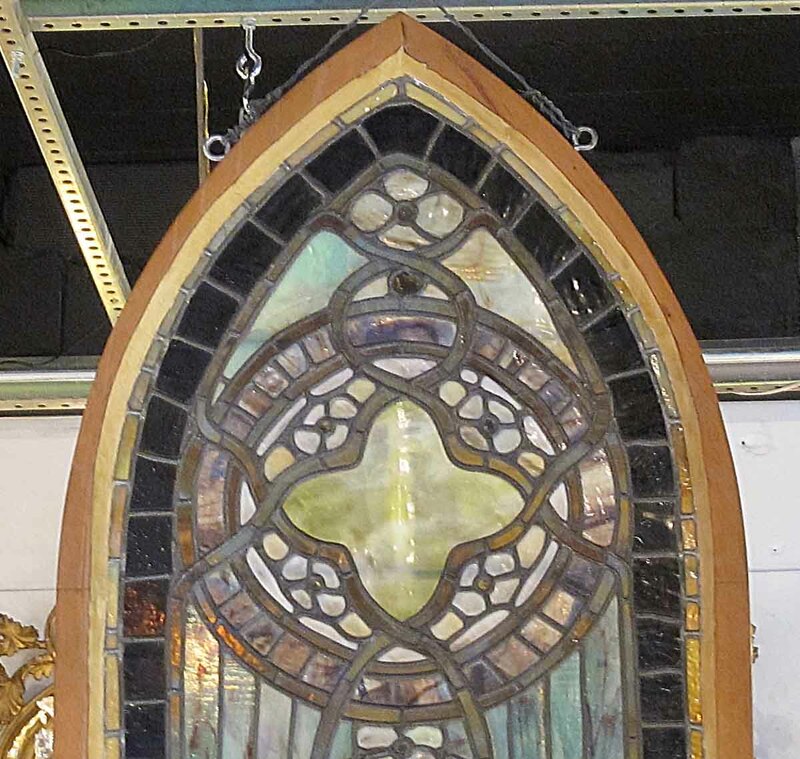 As documented in the book “Tiffany Windows” by Allister Duncan, there were two windows commissioned by St. Michael’s Church in Birdsboro, Pennsylvania which was built by Edward Brooks, the 1892 founder of the First National Bank in Philadelphia, and also founder of the Pennsylvania Railroad. 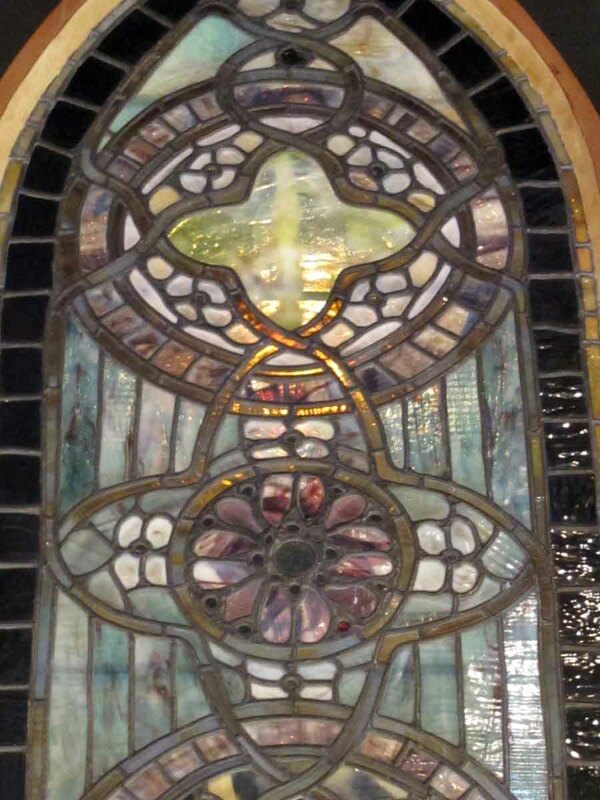 The church was designed by renowned architect Frank Furness. 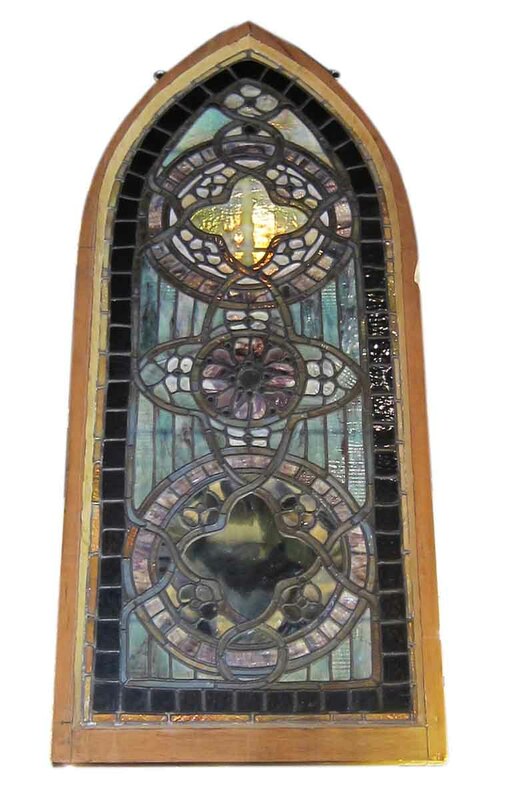 Tiffany was commissioned for two windows in the church, the large one was signed, and now is displayed in the Stained Glass Museum in Chicago. This smaller one was not signed. 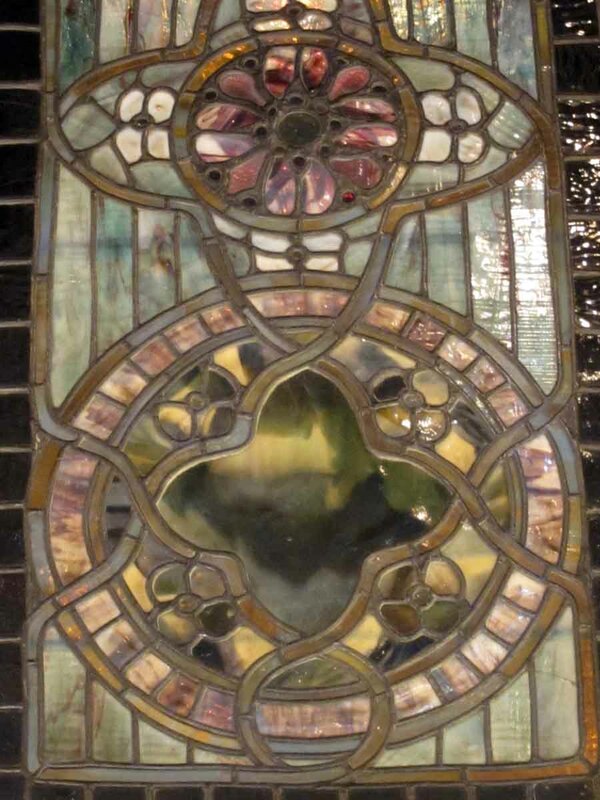 This second Tiffany window was located adjacent the side door. 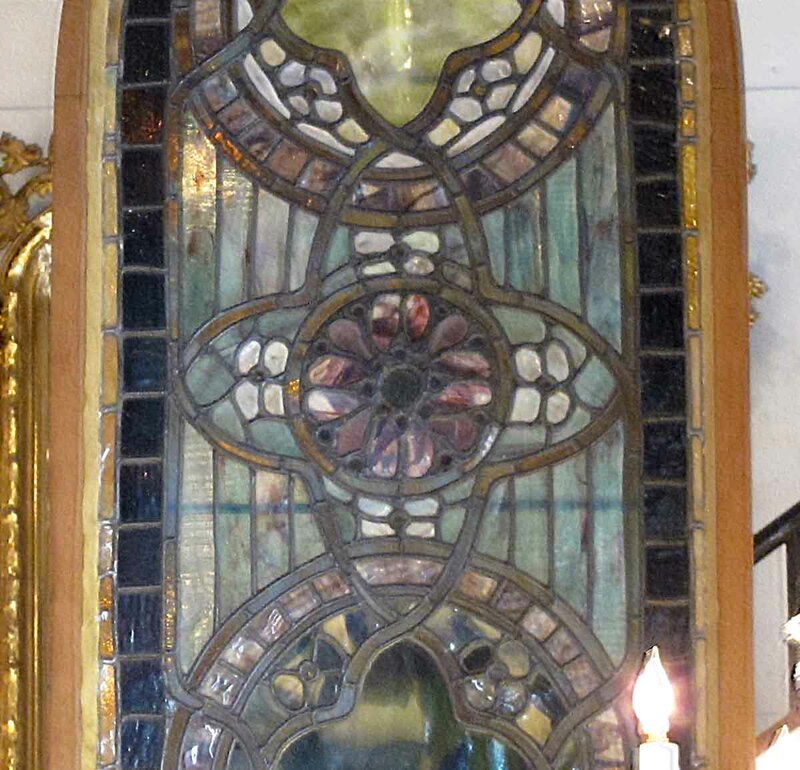 This window is the one from near the side door. 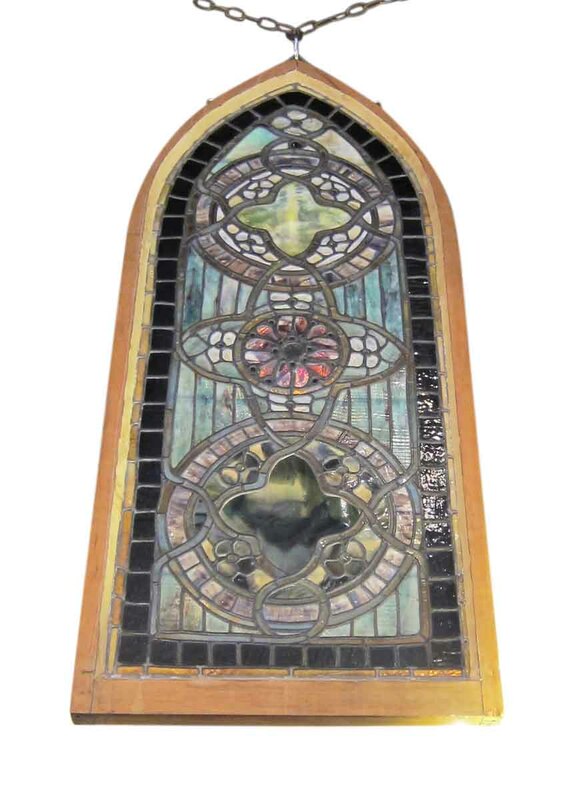 The dedication plaque still remains in the church which is now owned and operated by a Baptist congregation.